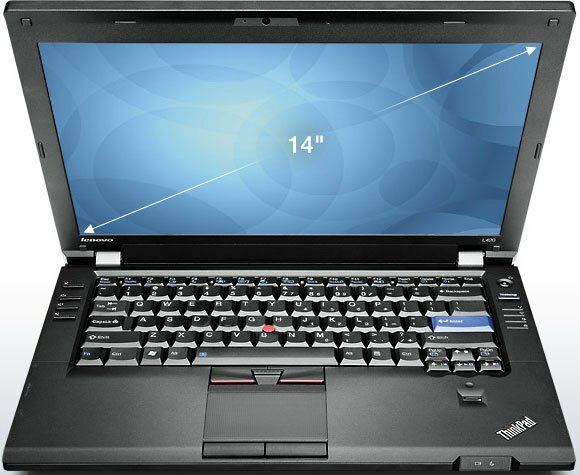 The 14-inch Lenovo ThinkPad L420 has the highest amount of post-consumer recycled content of any of the notebooks in the ThinkPad line. The new thermal design has reduced energy consumption and lowered CO2 emissions. Plus, the ThinkPad L420 ships with 20% less packaging, which is 100% recyclable. The ThinkPad L420 is eco-friendly, and certified by ENERGY STAR and qualifies for the EPEAT Gold rating. The ThinkPad L420 passes eight military specification tests, ensuring functionality in a wide range of adverse conditions. The ThinkPad L420 is constructed for durability, with new metal hinges and latchless design, and comes with Active Protection System to protect against abrupt movement or accidental fall.